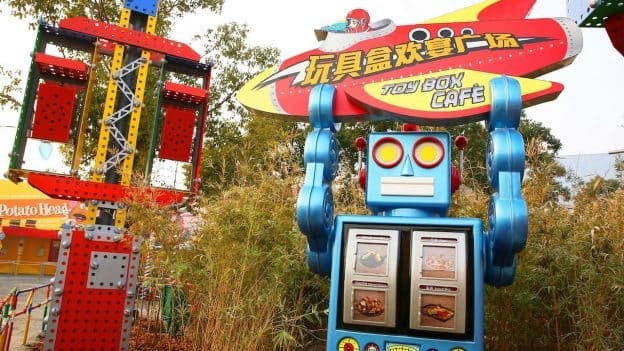 Ahead of Disney•Pixar Toy Story Land’s opening this April, guests at Shanghai Disneyland can now dine at the imaginatively themed Toy Box Café made out of the packaging once home to Buzz Lightyear, Lotso, and Mr. and Mrs. Potato Head. 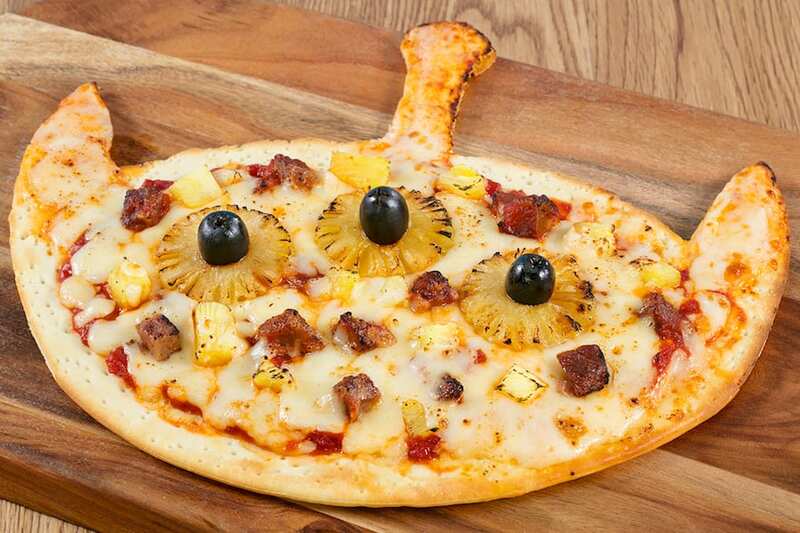 In the same authentically Disney and distinctly Chinese style, guests can choose from a mix of traditional and western treats that pay homage to characters from the film series. 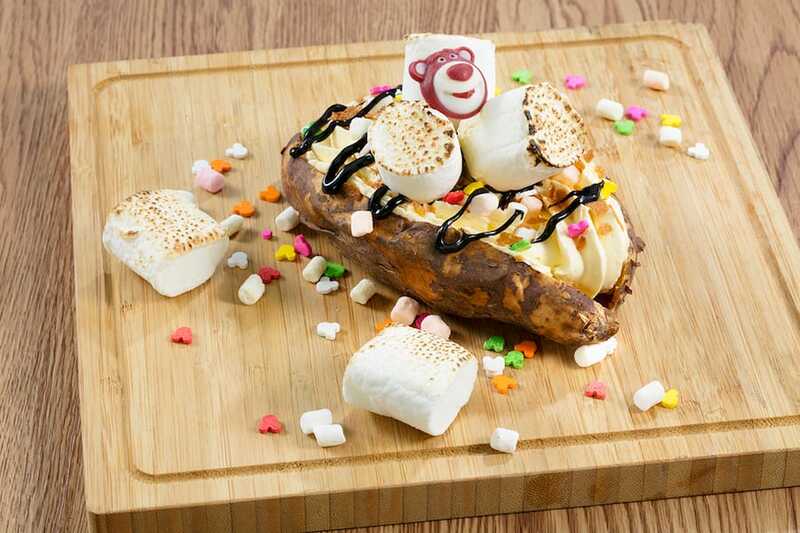 Options include Alien Spicy Seafood Pizza, Baked Sweet Potato with Marshmallow and Bubble Waffle with Strawberry Ice Cream, inspired by the teddy bear’s signature strawberry scent. Guests can dine on oversized toy tables and chairs in Andy’s backyard, surrounded by the playful world of everyone’s favorite toys. 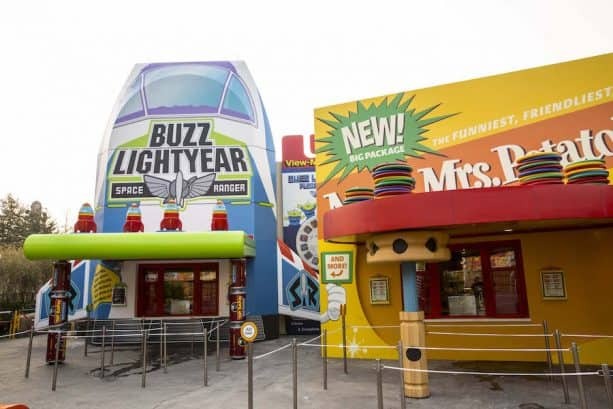 And starting April 26, guests can enjoy even more Toy Story with the opening of Slinky Dog Spin, Rex’s Racer and Woody’s Round-Up, plus a character greeting area and Al’s Toy Barn. 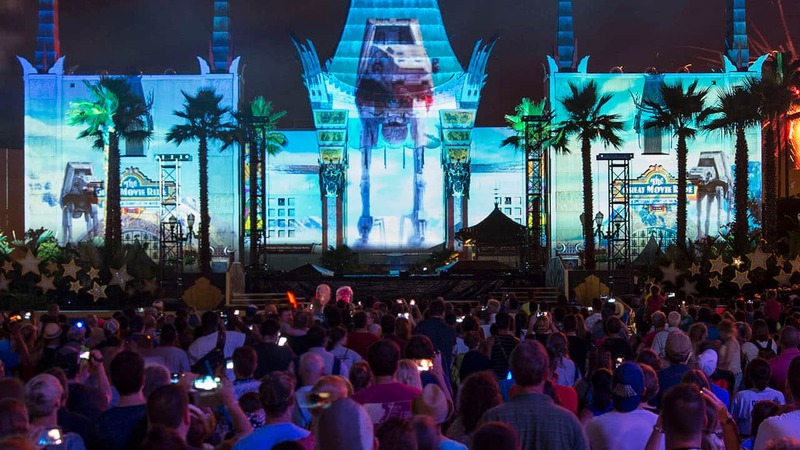 Stay tuned for more as we get closer to the opening of Disney•Pixar Toy Story Land. Feel free to send me to report on all of the foods and sights and sounds, etc.! Lol! LOVE IT!! !